I may have shared these with you before but if I have it’s been awhile. And they are so good that it’s worth sharing again! 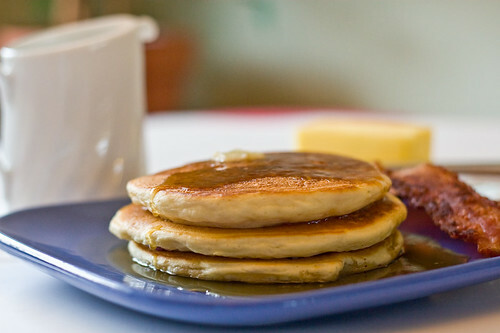 This recipe makes about 8 nice sized pancakes. Mix together dry ingredients. Combine all remaining ingredients except blueberries. Mix wet ingredients into dry just until blended. The batter should be thick but spreadable. Add more milk if necessary to get the texture right. Cook on griddle. 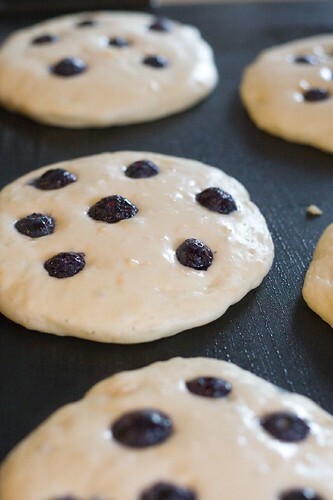 Add blueberries to pancakes on griddle. the blueberry pancakes look declious.